As found on the Jitsie Hybrid 24" Trials Bike! 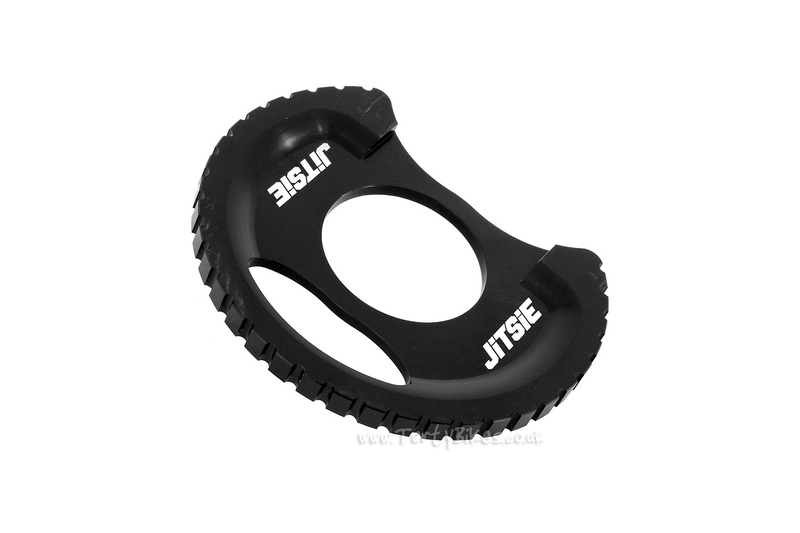 - New from Jitsie, as found on their Hybrid 24" Trials Bike, their Full Bashring. - CNC-machined from 7075-T6 aluminum for optimum strength. - Large cut-outs help reduce weight. - 'Full' design helps provide all-round protection for your chain and freewheel/sprocket. 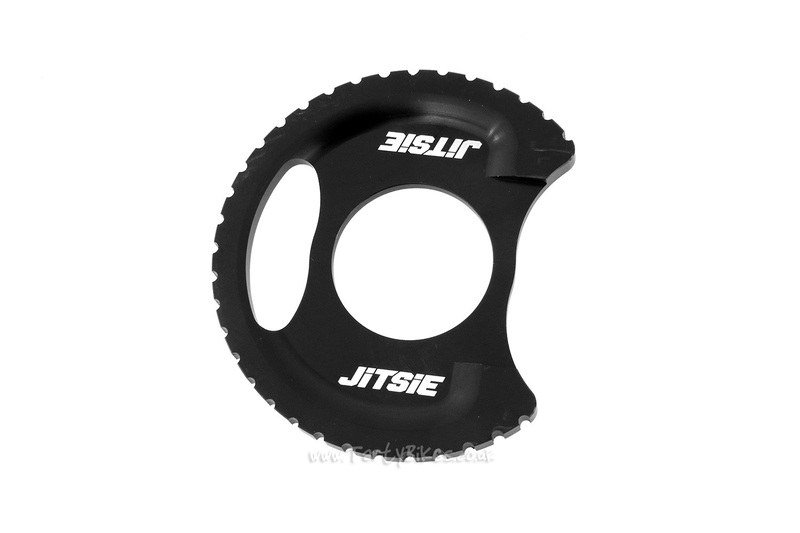 - 18T size (88mm diameter), to fit screw-on cranks (can be used with freewheels or fixed sprockets). - Please note: a small washer is required if being used with a 135-click sealed bearing freewheel. - 5mm outer edge provides good impact resistance, with a narrower body to help reduce weight.